There are plenty of excellent story times in bookstores, schools and other spots around town. Why did we choose to highlight this one? Because it brings dogs into the mix. 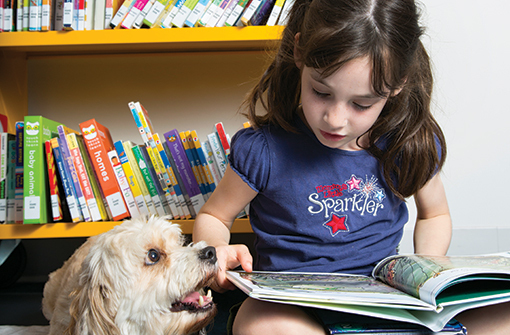 Through a partnership between the Arlington Public Library and the nonprofit PAL (People Animals Love), the program gives kids in grades K-5 the chance to read aloud to nonjudgmental canine listeners in a number of local library branches. This fun and stress-free activity with pooches helps students become better, more confident readers. One study conducted by researchers at U.C. Davis found that reading to Rover helped public school third-graders improve their reading fluency by 12 percent.